Tata Tea Museum, Munnar: Except from the green beauty of Munnar, Tata Tea Museum is another interesting location which is worth of visiting. Fully automated tea factory outlines the development of tea estates. A sundial placed on a granite block enhances the charm at the entrance of this factory. Related to the history, this artifact is the proud of the museum. ‘Pelton Wheel’ is one of the oldest artifacts existing in the factory which is really exotic in nature. Backwater Cruising at Malabar Coast: Kerala is incredibly famous for backwaters. Taking a backwater cruise takes you to the different adventure. 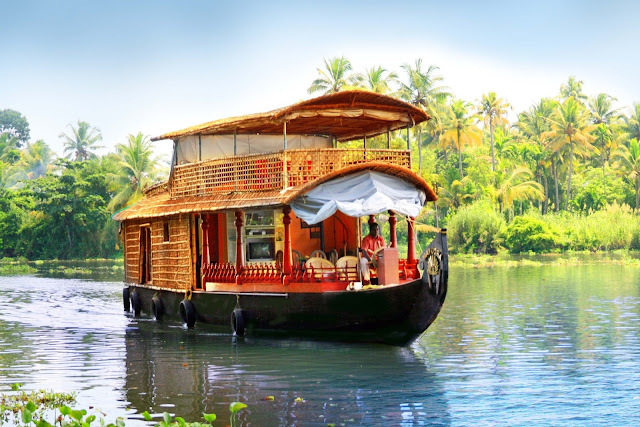 These ‘floating cottages’ is a major tourist attraction in Kerala and meant to give delightful ride to the guests. Visit to these backwater attractions in the rainy season add some more fun and adventure. One can find these houseboats from Kollam to Kottapuram, covering the approx distance of 250 kms. Bekal Fort, Kasarod: Holding the crown of largest fort in Kerela, this fort is one of the most beautiful attractions in Kerela. 40 acres of land is occupied by this historical place. It is countered by the locals that the fort was built in order to serve the purpose of military in 1650 AD. Holes on the outer walls of this fort are witnessing the defence power of Shivappa Nayaka(The Ruler). 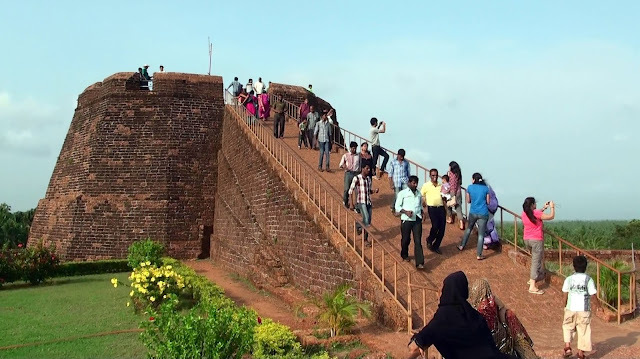 Bekal fort was opened to the tourists in the year of 1992 to reveal its beauty and natural charm. 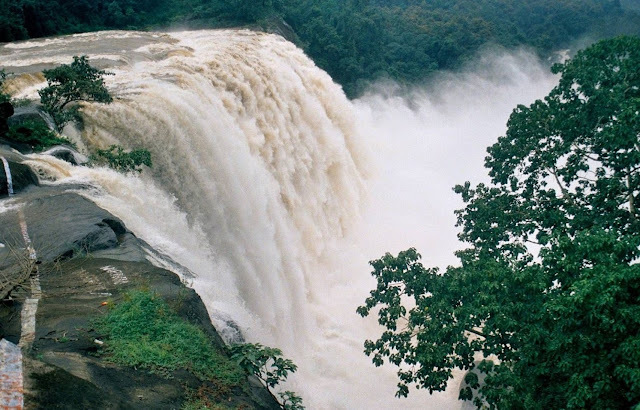 Athirapilly Waterfalls, Thrissur: Quoted as ‘The Niagra Fall of India’, this waterfall is holding the height of 82 feet with segmental elevation of 390 feet. The continous turbulent water produces the roaring sounds which calms after the flow of 1 km in the river. Apart from the charm of waterfall, the place is also capturing the beauty of vivid wildlife including Sambar deers, asiatic elephants and lion tailed macaques. Malabar Pied, Great Hornbill and Grey Horbill are nestled here in the dense forests. 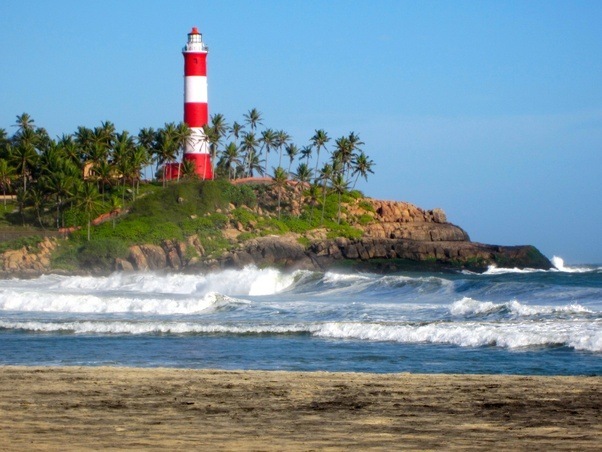 Lighthouse Beach: Very few of the beaches in India are blessed with smooth white sand and this beach is one of them. 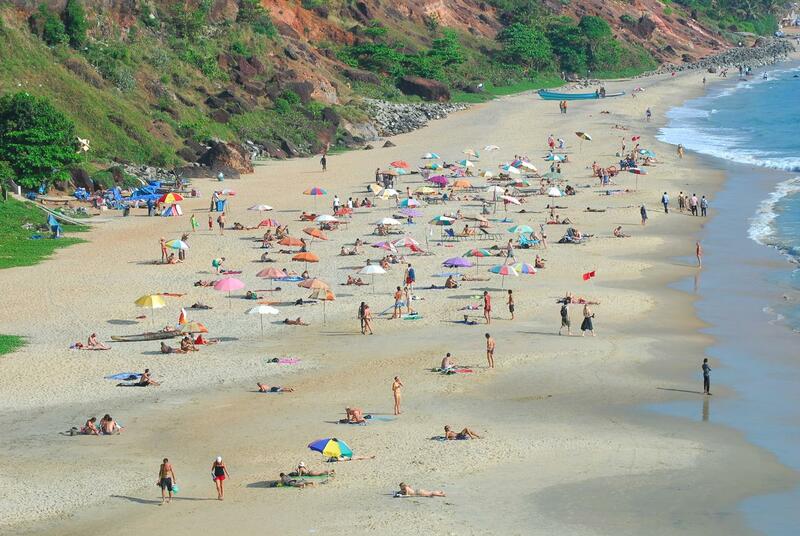 Much loved by the people, this beach is located in Kovalam. Height of 30 meters of this lighthouse stands extremely tall on the beach. Just 142 steps takes you to the top of this much loved lighthouse. Last but not the least; you can enjoy the adventurous activities like paragliding, swimming, surfing and parasailing on this beach. Varkala Beach, Thiruvananthpuram: Very well known among southern beaches of India, this beach is also known as Papanasam Beach of Kerala. Eager to see the adjacent cliffs to the Arabian Sea?, this is the right place to explore the beauty of fact. Geologists have already declared this place as a geological monument because of these cliffs. The beach also serves the different water sports like swimming and paragliding. 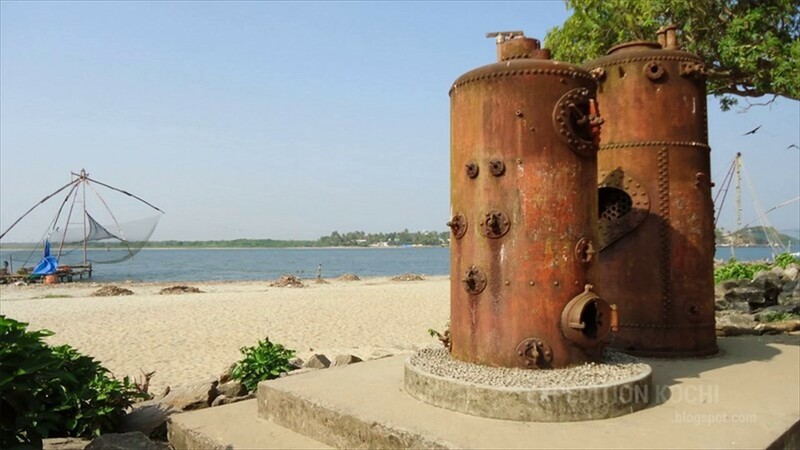 Fort Kochi: Among the scenic beauty of Kerala, Fort Kochi is an amazing place located towards the south-West part of the city Kochi. As you can see the fishing nets in the picture, this place was once a fishing village in its earlier time. It is believed that behind this fort, the Portugese had built a church of St. francis where the body of Indian discoverer Vasco De Gama was initially burried. In current times, this fort is considered is the finest example of the charm of nature. Elephant Shower & Bath: Kerala is largest in the numbers of elephants in India, and you will witness these creatures wandering freely on the streets of this place. The biggest excitement is to take bath with these creatures or even you can ride on them. 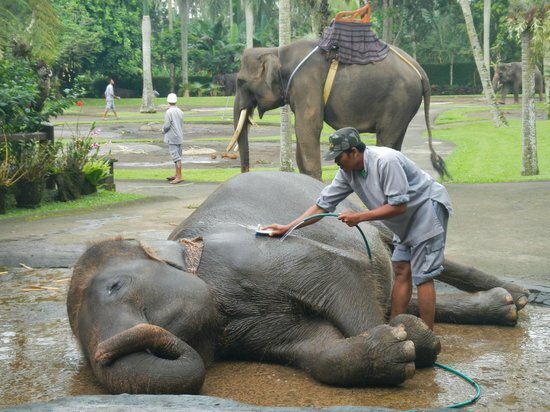 Scrubbing the ears of these elephants won’t be harmful as these creatures don’t get wild easily.